Patients with known ulcerative colitis, particularly when considering changing, adding, or stopping a UC medication; this is not a tool to diagnose ulcerative colitis. The Mayo Score is the most commonly used scoring system for UC in clinical trials and routine practice (Paine 2014). The Mayo Score for Ulcerative Colitis was developed to standardize the severity of a patient's ulcerative colitis (UC) symptoms, which is particularly helpful to assess response to treatment over time. The Mayo Score for Ulcerative Colitis was originally devised in 1987 for a clinical trial for pH dependent 5-ASA (Asacol) at the Mayo Clinic. Comprised of 4 parts: stool frequency, rectal bleeding, endoscopic findings and physician’s global assessment, each scored from 0-3. The physician’s global assessment accounts for other signs/symptoms including abdominal pain, physical exam findings (extraintestinal manifestations, fever, tachycardia), functional status, and the patient’s overall sense of well being. Total scores range from 0-12 with higher scores indicating increased severity of disease. Response to therapy is defined differently in each trial, but most use a decrease of 3 or more points. Remission is often defined as a total score of 2 or less with all individual categories ≤1. Occasionally, remission is defined stringently as a score of 0. Most clinical trials define mucosal healing as an endoscopic score of 0 or 1, although numerous other endoscopic scoring systems exist (D’Haens 20074). The “Full” or “Complete” Mayo score incorporates all 4 parts. If endoscopic findings are not available, the remaining 3 categories constitute a “Modified” or “Partial” Mayo score. For stool frequency and rectal bleeding, the patient acts as their own point of reference (i.e. number of stools above normal) rather than the absolute number. Critics point out an element of subjectivity in the Physician’s Global Assessment (sense of well being). The score is not designed to predict need for admission or surgical therapy. This is not a tool to diagnose ulcerative colitis, rather a tool to evaluate patients with known UC. Assesses initial disease severity, change in activity over time, and response to treatment. Provides a universal metric to encapsulate disease severity at a given time in a single number. 3 points requires patients to have ≥50% of BMs with visible blood AND ≥1 BM with blood alone. *Assigning a score of 3 requires patients to have ≥50% of bowel movement accompanied by visible blood and 1+ bowel movement with blood alone. The higher the score, the more severe the case of ulcerative colitis. The highest score possible is a 12. Scores should be compared to previous scores taken for a patient. The mucosal appearance at endoscopy is not included in the Partial Mayo Score. The Mayo score was described by Schroeder et al. in 1987 as a means of assessing response to pH dependent 5-ASA therapy (Asacol) in a randomized that included 87 patients. It was designed to be simple to calculate at the bedside but does include endoscopic findings. Travis SPL, et. al. Reliability and Initial Validation of the Ulcerative Colitis Endoscopic Index of Severity. Gastroenterology. 2013;145:987–995. Lewis JD, et. al. Use of the Non-invasive Components of the Mayo Score to Assess Clinical Response in Ulcerative Colitis. Inflamm Bowel Dis. Dec 2008; 14(12): 1660–1666. doi: 10.1002/ibd.20520. Sutherland LR, et al. 5-Aminosalicylic acid enema in the treatment of distal ulcerative colitis, proctosigmoiditis, and proctitis. Gastroenterology 92.6; 1987: 1894-1898. Paine ER. Colonoscopic evaluation in ulcerative colitis. Gastroenterology report 2.3; 2014: 161-168. D’Haens G, et al. A review of activity indices and efficacy end points for clinical trials of medical therapy in adults with ulcerative colitis. Gastroenterology 132.2; 2007: 763-786. Manginot C et al. An endoscopic Mayo score of 0 is associated with a lower risk of colectomy than a score of 1 in ulcerative colitis. Gut 64.7; 2015: 1181. Irvine EJ, et al. Quality of life: a valid and reliable measure of therapeutic efficacy in the treatment of inflammatory bowel disease. Canadian Crohn's Relapse Prevention Trial Study Group. Gastroenterology 106.2; 1994: 287-296. Sandborn WJ, et al. Ozanimod Induction and Maintenance Treatment for Ulcerative Colitis. New England Journal of Medicine 374.18; 2016: 1754-1762. 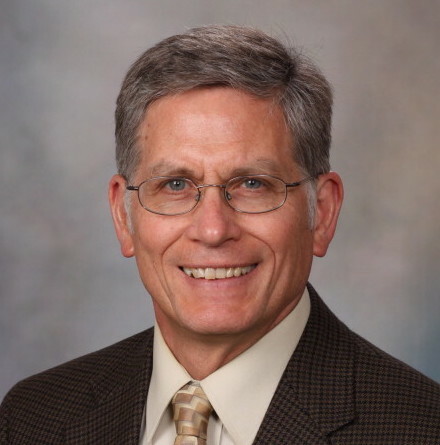 Kenneth W. Schroeder, MD, is an associate professor of medicine, specifically in gastroenterology and hepatology the Mayo Clinic. Dr. Schroeder researches endoscopic diagnosis/treatment of GI diseases and inflammatory bowel disease.